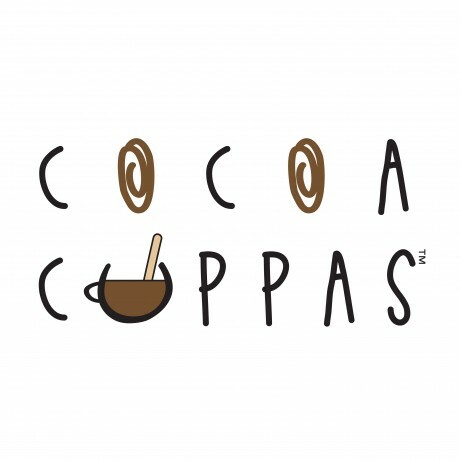 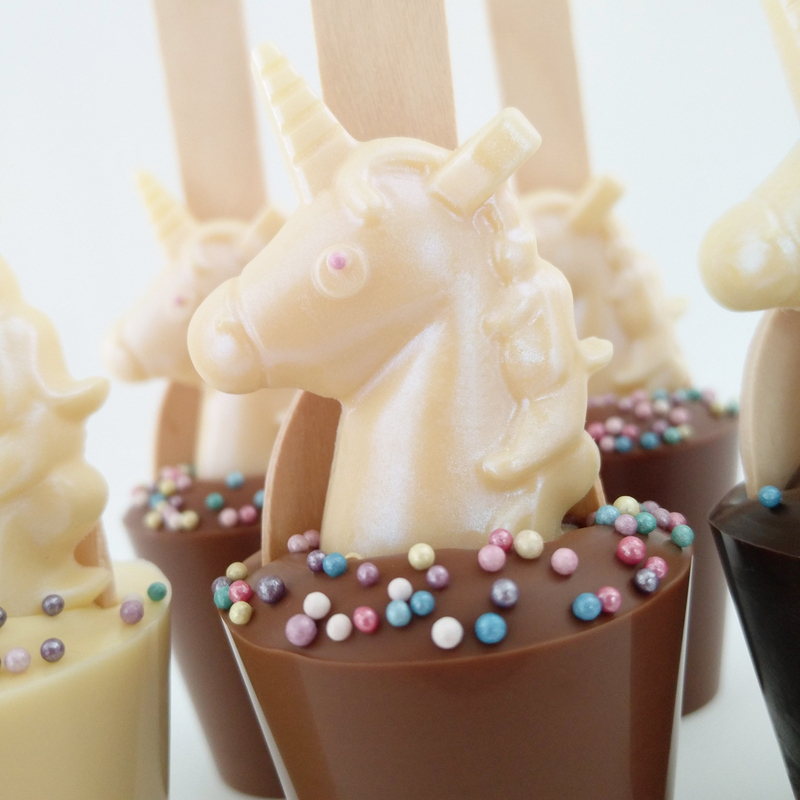 4 x hot chocolate Unicorn Cocoa Cuppas handmade by Chocovert. 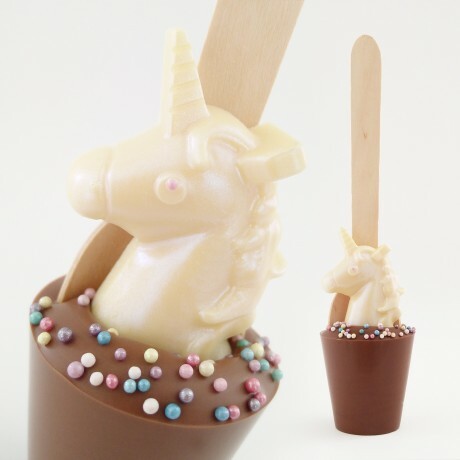 Each stirrer is adorned with a shimmering unicorn head and rainbow sugar sprinkles making each one magical! 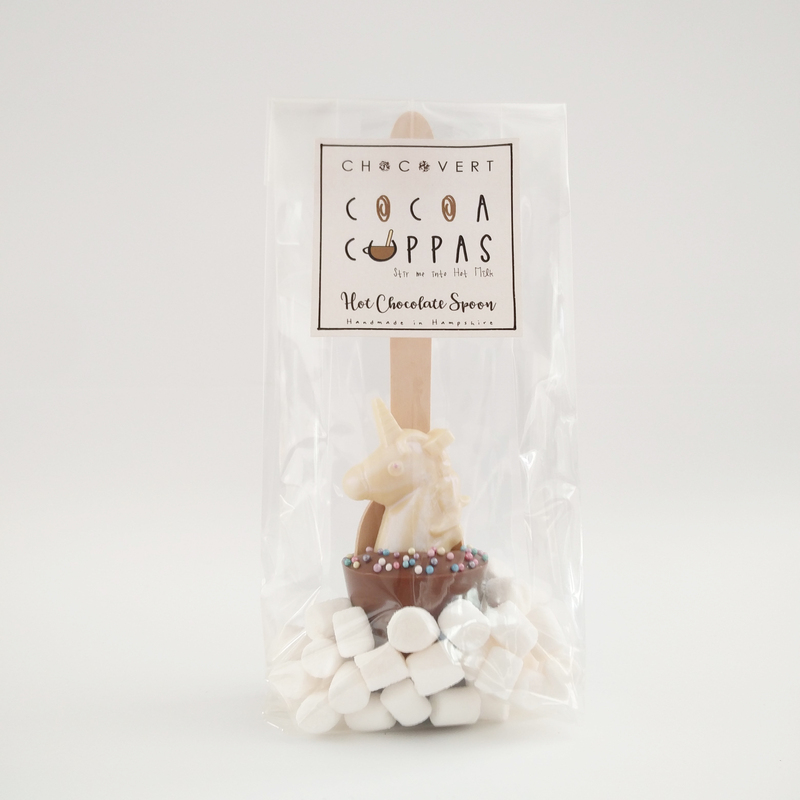 Mini Mallows (Glucose syrup, sugar, dextrose, water, stabiliser, sorbitol, gelatine, flavouring) Sprinkles (sugar, wheat startch, confectioners glaze, carnauba wax), cocoa butter.